GERD Awareness Week, now in its 14th year, takes place November 18-24, 2012. Yes, the week of Thanksgiving. Given that many Americans celebrate this holiday with big meals (followed by seconds and thirds! 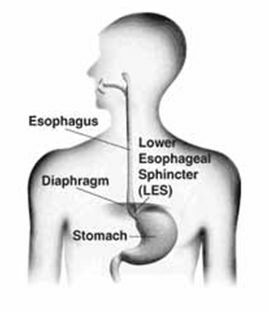 ), it’s the perfect time to spread the word about gastroesophageal reflux disease (GERD), which can cause chronic heartburn and acid regurgitation as well as less commonly known symptoms such as laryngitis, a sudden excess of saliva and the sensation of food sticking in the esophagus. How can you tell if you have GERD versus occasional heartburn? Typically, when you have GERD or another more serious condition, heartburn will occur more than once a week and often become more severe at night, to the point where it can disrupt sleep. If frequent bouts of heartburn are keeping you up at night, talk to your doctor. You can also call the International Foundation for Functional Gastrointestinal Disorders (IFFGD) Helpline at 1-888-964-2001 (toll-free from the US) for information at any time. Fortunately, treatments are available to combat GERD, which affects up to 1 in 5 adults in the US. According to the 2,254 patients who are part of the GERD Community at PatientsLikeMe, some of the commonly prescribed medications include Omeprazole (Prilosec), Lansoprazole (Prevacid), Esomeprazole (Nexium) and Ranitidine (Zantac). Click on each drug name to see the treatment evaluations our patients have submitted regarding effectiveness, side effects, cost and more. Then, there’s also watching what you eat. While GERD is not caused by diet, it can be aggravated by certain foods and eating habits. To make this Thanksgiving a little more pleasant, consider avoiding the following foods and beverages: chocolate, onions, fried foods, acidic foods, fatty foods, peppermint, caffeine, carbonated beverages and alcohol. Eating late at night can also contribute to nighttime heartburn that leaves you restless and sleep deprived. So, if you see family members who may be experiencing GERD, make sure they know the facts…before they dig into those midnight leftovers!